Numerous people often have difficulties to fall asleep, and the sleep deprivation can be the major cause of numerous ailments and reduced productivity. Also, the constant struggle to fall asleep and rest at night can be extremely tiring. On average, people need 6-8 hours of sleep every night in order to be able to work normally the following day, have enough energy, and support the optimal function of the organism. However, there is a perfect, completely natural, solution to this problem! 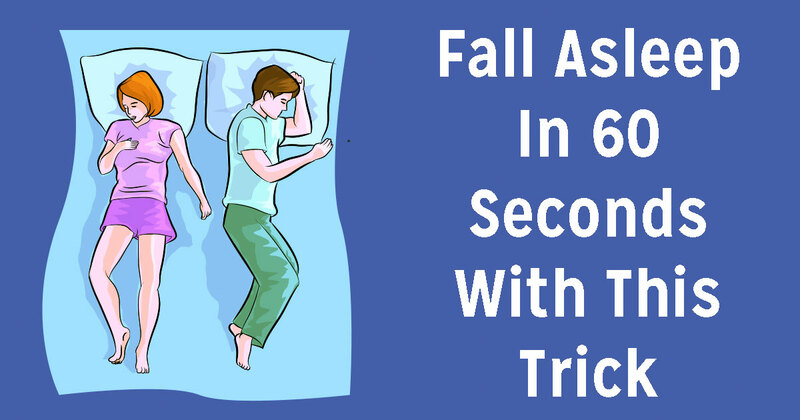 This method is also known as the “4-7-8” breathing technique, which helps you fall asleep in a minute! This method was developed by Dr. Andrew Weil, and it is extremely simple and easy to follow. It is actually a combination of breathing techniques and meditation which reduces stress. You should breathe through the nose for 4 seconds, hold the breath for 7 seconds, ad release the air for 8 seconds. Repeat this 3 times, and you will fall asleep! This will relax the body and calm the heart rate and thus help you fall asleep easily.